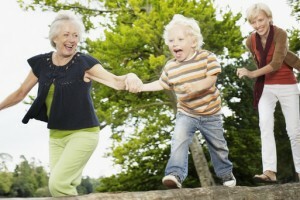 Estate planning involves a wide range of critical issues that can protect you and your family. Effective estate planning can provide asset protection, offer cost-effective efficient succession of your assets, protect the privacy of your family’s financial issues, avoid unnecessary taxes and provide for your wishes in terms of financial and medical decisions should you become incapacitated. The Law Offices of Tanya K. Streit, P.C. 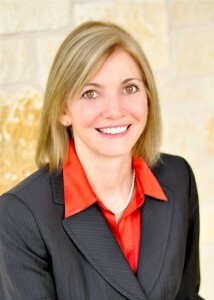 provides comprehensive estate planning services to clients throughout Travis and Williamson Counties. Tanya provides personal attention designed to develop customized estate planning strategies, skillful drafting of estate planning documents intended to preempt future litigation, and estate administration. Tanya works closely with her estate planning clients so that she can provide exemplary legal services to protect you and your family while ensuring that your wishes and expectations are fulfilled. While no one plans on being incapacitated so that they cannot make financial or medical decisions, it is critical to plan for serious illness, accident or advanced age. A power of attorney allows you to appoint an agent to make financial decisions if you should become incapacitated and unable to manage your financial affairs. A power of attorney can be very limited, empowering someone to sign a specific contract on a specific day, or very broad, allowing someone to step into your shoes with broad authority to manage all of your financial affairs. Tanya can advise you regarding the scope of your power of attorney so that it corresponds with your intentions and accomplishes your goals while providing protection from abuse or overreaching. Our Texas estate planning law firm is committed to helping clients protect their dignity and maintain control over their medical decision making. A medical power of attorney allows you to appoint a person you trust to make medical decisions on your behalf if you become incapacitated, unable to communicate, or incompetent to make medical decisions. Tanya can also help you prepare an advance medical directive that indicates your desires regarding life-sustaining measures should you become incompetent and unable to communicate your wishes. This allows you to preserve your dignity and make advance decisions about certain types of extraordinary medical care including artificial hydration and nutrition, resuscitation and other extraordinary medical treatment or procedures. Our experienced Texas estate planning law firm will address your options and intentions and draft your advanced medical directive so that it clearly articulates your intentions. Effective estate planning can preserve your assets for your heirs. Whether you have a high net worth estate or a relatively modest state, Tanya can help you ensure that your intentions are properly carried out. A well prepared estate plan can protect your valuable assets from creditors. Tanya can evaluate potential risks posed by either your creditors or creditors of your family members. Asset protection requires an analysis of your long-term financial and estate planning goals. Tanya can help you develop effective asset protection tools and reposition your assets. There are many asset protection strategies available. Tanya may use an irrevocable trust, family limited liability company or family limited partnership. Because your assets are transferred to a separate independent legal entity, they are protected from your creditors and removed from your estate. Tanya will carefully evaluate your entire estate to determine whether one of these estate planning tools or other estate planning devices provide the best way to protect your estate. Tanya provides a free initial consultation in order to assess your situation and advise you regarding your rights and options. The Law Offices of Tanya K. Streit, P.C. also offers discounts to seniors and veterans. Call today at (512) 637-1310 to schedule your initial confidential consultation.